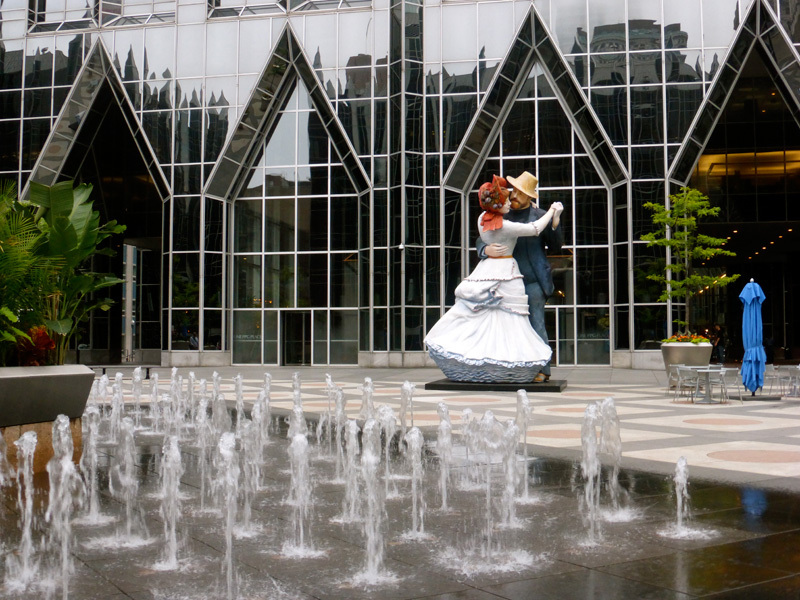 The Museum of Fine Arts, Boston, is where the 1883 Renoir painting titled Dance at Bougival resides. 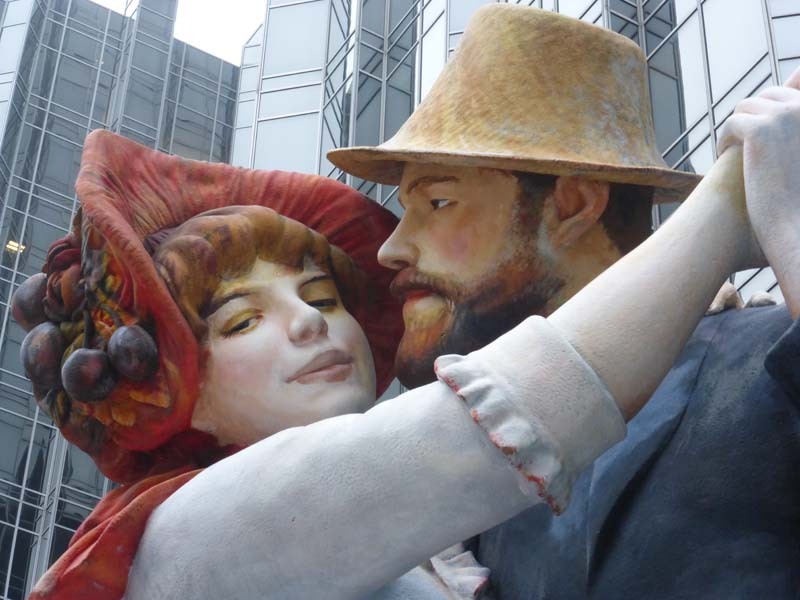 It was one of a series of three paintings Renoir did of couples dancing. 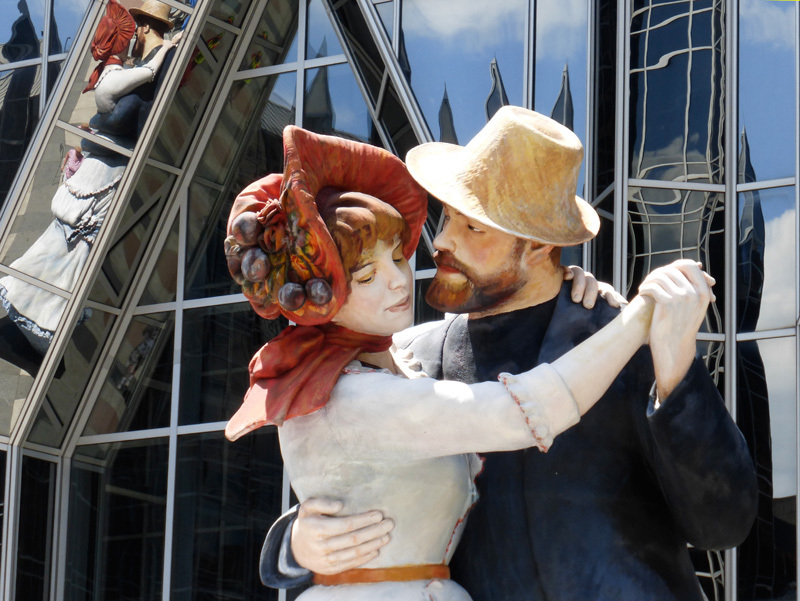 In Dance at Bougival The couple twirl in an outdoor cafe scene near Paris. 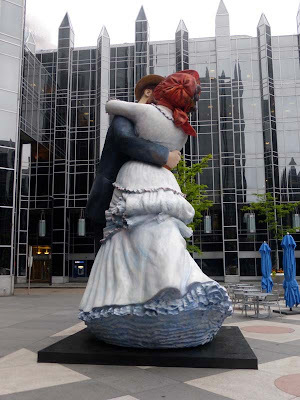 This is the painting that has been brought not so much to life, but to three dimensions and bigger than life, by artist J. Seward Johnson. 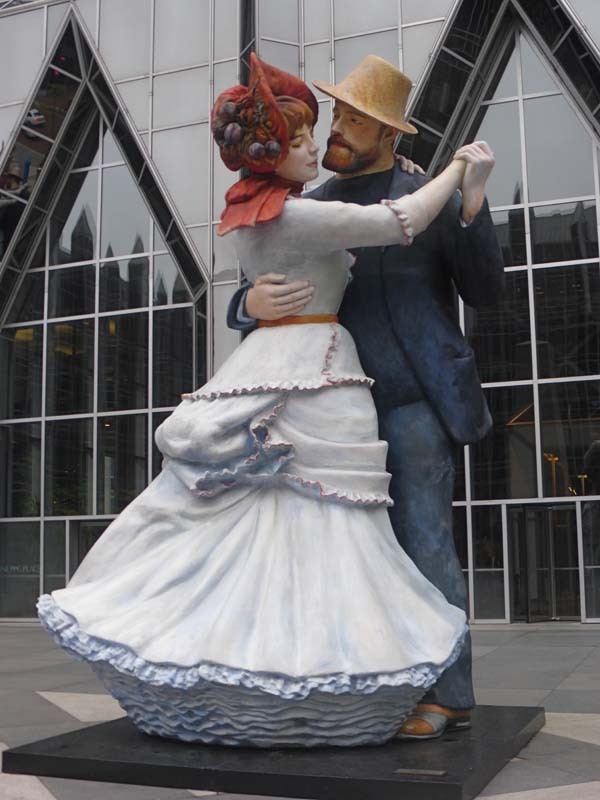 His 20 foot tall bronze depiction of the dancers in Renoir’s painting graced PPG Plaza for a short time in 2014. 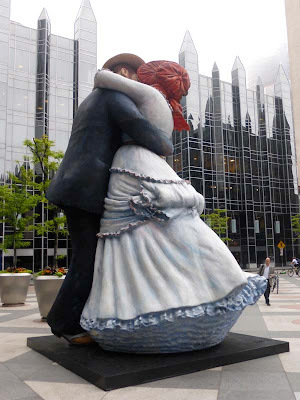 I find it so moving to watch people interact with these sculptures. That is one thing that these pieces do – they invite an intimacy with the paintings that the paintings themselves don’t allow simply due to the limitation of scale, depth and access.